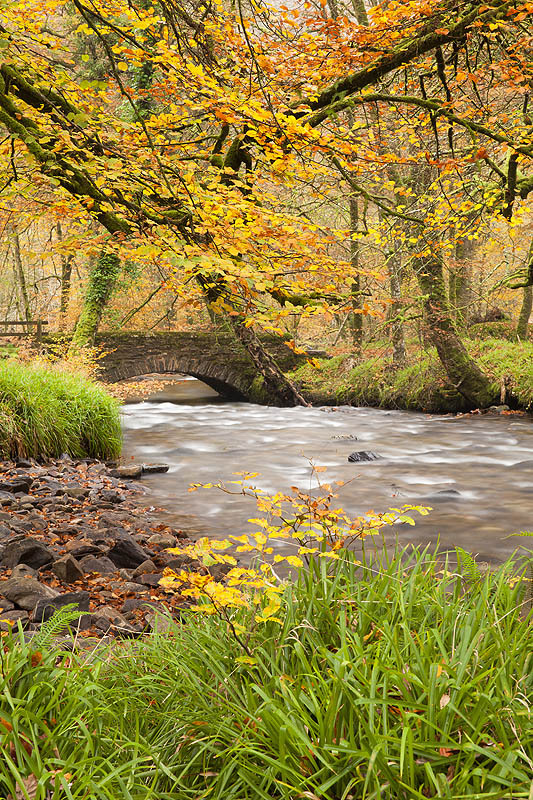 Danes Brook flows through Buckminster Wood and under Castle Bridge on its way to meet the River Barle in Exmoor National Park. Exmoor Somerset. November 2013.